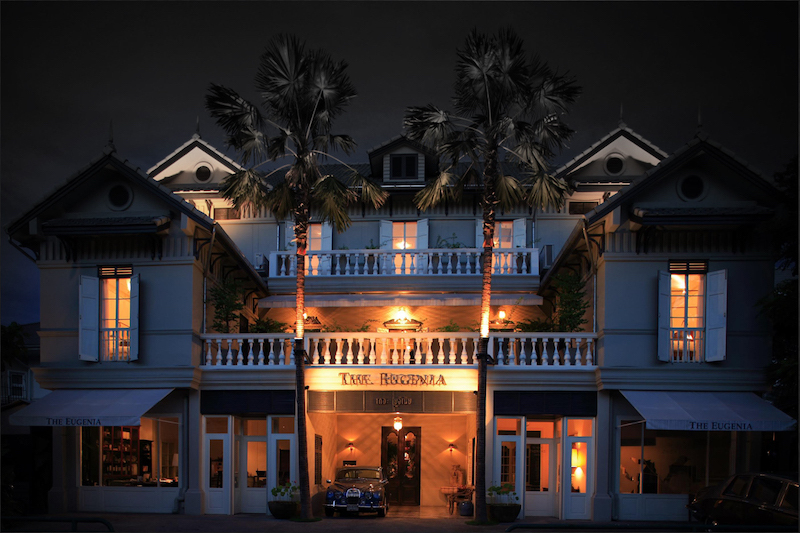 Experience old world architectural beauty blended with modern panache at The Eugenia Hotel, Bangkok. Its unique Colonial inspired house recreates 19th century luxury living. With vintage surrounding of The Eugenia’s interior and exterior design, the property is a relaxing retreat that allows visitors to mix the modern pleasures of Bangkok metropolitan with a little old-world charm. Faithful to its heritage, The Eugenia features just three unique suites, each with their own personality. Tasteful antique furniture and fitting adorn throughout which is the private collection of the owner and his family sources overtime from British Colonial Burma, India, Indochina Thailand and Europe. Our classic Western Oriental home and friendly attractive Thai staff, offer personalized service to our customers. Situated in the heart of Sukhumvit, Bangkok main business and entertainment district. The Eugenia located in Sukhumvit Soi 31 or Soi Sawasdee. Guests will easily find markets, boutiques, trendy cafes and restaurants within minutes from the hotel, just 10 minutes’ walk to MRT – Sukhumvit underground station, 15 minutes walking distance to Phrom Phong – BTS Skytrain station and luxury shopping malls – The Emporium and The EmQuartier. Only 20 minutes by walk to Seafood Market.